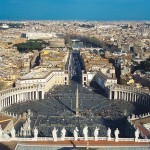 Cruise for seven nights from Barcelona to Rome aboard the Five-Star Le Jacques Cartier. Visit the sun-drenched French and Italian Rivieras and islands and up to five UNESCO World Heritage sites, with excursions featuring Corsica, Florence or Pisa, Italy’s Cinque Terre, Monaco, Marseille and Nice. Opportunity to visit five fantastic UNESCO World Heritage sites—Barcelona, Carcassonne, Cinque Terre, Florence or Pisa, and Rome. 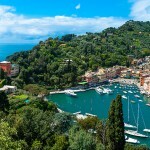 Cruise the legendary Tyrrhenian, Ligurian and Mediterranean Seas. Complimentary alcoholic and nonalcoholic beverages throughout the cruise and complimentary Wi-Fi aboard ship. One specially arranged port of call every day and all shore excursions included. 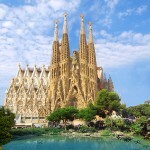 Barcelona Pre-Cruise and Rome Post-Cruise Options. Day 1: Depart the U.S.
Day 9: Civitavecchia, Italy/Disembark ship/Rome/Return to the U.S.